SamanTree Medical is pleased to announce the presentation of the study on breast biopsies featuring great results on breast cancer detection with the Histolog™ Scanner. 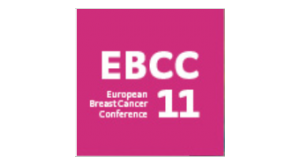 These results will be presented in a poster by the Brust Zentrum Zürich at the next European Breast Cancer Conference (abstract below). It will be featured in the Poster Session “Local Regional Treatment – Surgery” (Poster PB-104 – Abstract 304) on March 22nd. For that occasion, SamanTree Medical’s CEO Bastien Rachet and Clinical Application Scientist Frédéric Schmitt will be present to meet the breast surgeon community. The abstract can be found in the European Journal of Cancer 92, Suppl. 3 (2018) S17-S160, on page S84.